Tracking the points where the sense of sight and the sense of smell interface, Olfactive Studio is a new fragrance brand that has taken five contemporary photographs and interpreted them in perfume. The concept is down to Celine Verleure, a 46-year-old marketing and e-tail expert with a passion for fragrance, already behind olfactory hits such as Kenzo Jungle, L’Eau par Kenzo as well as the Osmoz perfume portal. Her own photography collection gave her the idea for the brand and she picked five photographs that very strongly evoke a mood or an idea. “The photographs are always pre-existing works that I find in exhibitions, museums, online photographers site,” she explains. Each photograph was the start of a creative journey for the perfumer, who used it as a visual brief. And some of the photographers – who are mostly fine art photographers – also helped elucidate their works and participated in the creative process. “Some photographers loved to be part of the creation – for example Clemence Rene-Bazin. Perfumer Dorothée Piot and René-Bazin, became friends while creating Chambre Noire and Dorothée actually bought the photograph from Clémence.” Initially, Chambre Noire looks like the image of a glittering, lit up cityscape at dusk, glimpsed through a hotel window and balcony. But look harder and you can see the reflection of the interior of the hotel room in the windowpane – the low lighting and seductive roomspace that could be the setting for a romantic rendez-vous. Appropriately, the corresponding fragrance is highly sensual, taboo even, but perhaps not in an obvious way. It is an oriental with basenotes of Sandalwood, Patchouli, Musk, Vanilla and Leather and speaks of illicit encounters, the rich odour of expensive lingerie, bodies intertwined and forbidden pleasures. However some of the photographs produced more unexpected perfumes – Flash back, for example is a very serene, black and white pixelated picture (by Laurent Segretier) of a resting woman’s face. 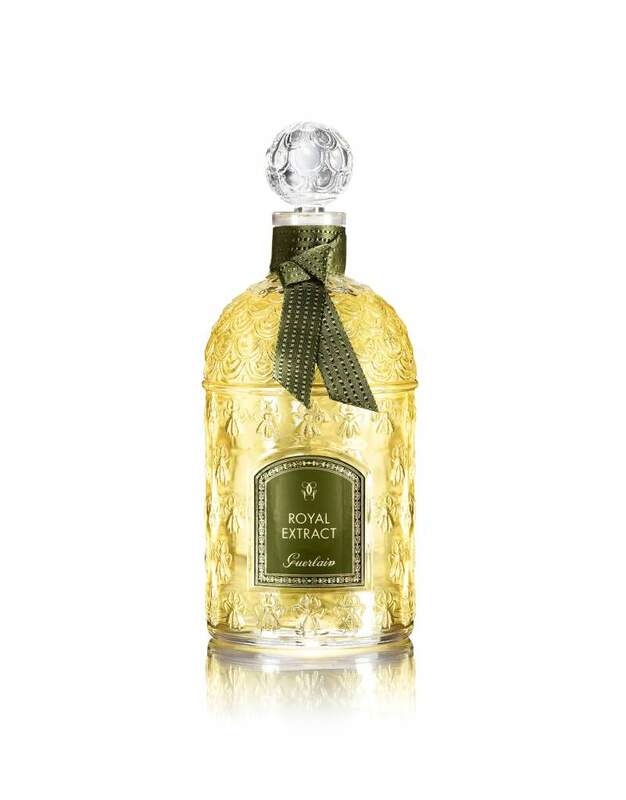 But it provoked an unexpected fragrance by Olivier Cresp, quite colourful and fruity with notes of rhubarb, grapefruit, orange and granny smith apple. In each instance smelling the perfume helps us re-see and reinterpret the photograph. Chambre Noire’s olfactive mise en scene is vivid enough for us to imagine lovers languishing in the soft glow of that bedside lamp glimpsed in the photograph and Flash back prompts us to smell what the clean, serene young visage in the photograph might smell like – the clarity of the fruit notes augments the serene yet obfuscated monochrome portrait – lending it a three dimensional facet. “My favourite image is the one from Massimo Vitali “Lumière Blanche” because you don’t catch it immediately (is it an iceberg? is it a rock?) actually, it is a rock in Sicily, but the image “smells” hot and cold at the same time and the perfume is a “hot milk with cold spices”. Says Verleure. Indeed in this bleached out photograph, the rock is only very faintly defined from the crystalline white of the sky by incremental grey shadows, similarly the perfume, which is smooth and creamy is offers a gentle chiascuro with it’s spores of dark spice. Thus the conflation of smell and image allows us to experience a kind of synesthesia. Verleure reveals that the sixth fragrance and photograph will be revealed to the press in April This innovative project should run and run. 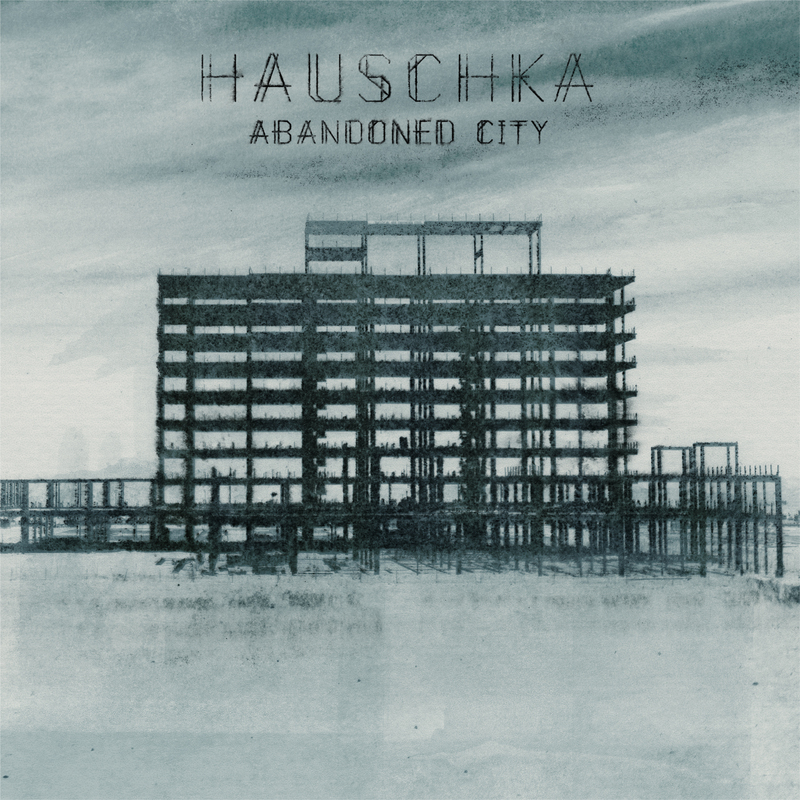 The poetry of entropy: Hauschka’s concept for Abandoned City is possibly one of the most beautiful and simultaneously brutalised ideas for an album ever conceived. To compose music for and soundtrack the ruined and empty metropolis – from Elizabeth Bay, a deserted mining town in Namibia to Pripyat, a city near Chernobyl abandoned after the nuclear disaster of 1986. On hearing these requiems for lost civilisations you think of the crepuscular buildings in Tarkovsky’s Zona or the dystopian visions of JG Ballard. They are what author and blogger Mark Fisher has termed ‘Hauntological’ and they are also ontological, dealing with being and nothingness to paraphrase Sartre. Thirtysomething Hauschka (aka Volker Bertelmann) occupies that compelling and increasingly populous hinterland between electronica and modern or neo-classical music. Think of a similar sort of audio to Nils Frahm – piano virtuosity and techno beats, references to minimalism and the avant-garde including Glass, Reich, Satie, Cage and Terry Reilly but also adept at electronica production techniques and what is broadly termed ambient. The structure of Pripyat, for example, owes something to Terry Reilly’s In C. It was all recorded in Hauschka’s home studio in Dusseldorf using a piano and nine microphones, six to record sound directly from his piano’s strings and another three to feed into a mixer with delay distortion and echo effects.. The album opens with Elizabeth Bay, which, as mentioned previously was once an industrious mining town in Namibia. This is undoubtedly the best track and the one worth downloading most, unless you intend to purchase the album in its entirety. It is based on a piece of music Hauschka wrote for a reinvention of Wagner’s Flying Dutchman and was recorded in ten days flat. Sometimes speed can aid creation, force and urgency can produce the most striking and dramatic effects and so it is in this case. Elizabeth Bay is the most song-like, the most impactful melody on the album and it emanates a sort of decaying grandeur and loss very eloquently. 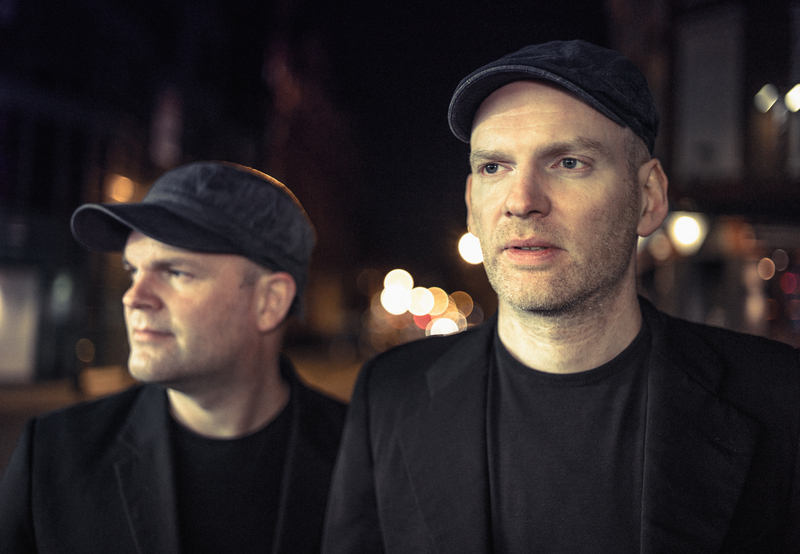 The next most compelling track is Craco, named after a Medieval Italian village that got swallowed by a sink hole in 1963 and a cinematic roll of undulating, modulating, resonating piano motifs. I listened to the whole album whilst driving at dusk in the pouring rain and, whilst it is arguable that all music sounds more heightened and romantic in this context, there was a certain frisson between the spotting of raindrops on my windscreen and the insistent throbbing and dotting of piano and string effects on Pripyat – pretty soon the rain seemed to be choreographing a kind of syncopated yet random spattering dance to some of these staccato sounds. It is arguable that post-Elizabeth Bay, which has the most profound melodic structure, the album runs on into more soundtracky, backdrop, ambient mode with each subsequent track feeling like a variation on a major theme, rather than what you might term a song in its own right. Played as an entirety it works however and the loneliness and melancholy of this music is sometimes, nothing short of sublime.